GIGABYTE Computex Media Gathering Party | Computex Parties - The first directory to find all parties held during Taipei Computex show! 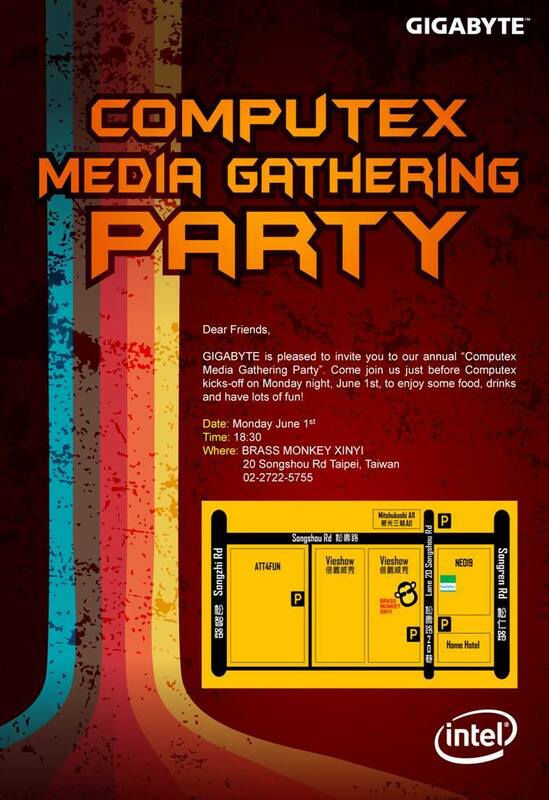 GIGABYTE is pleased to invite you to our annual “Computex Media Gathering Party”. Come join us just before Computex kicks-off on Monday night, June 1st, to enjoy some food, drinks and have lots of fun!